This weekend, it's the hallway's turn. The stairnose finally arrived. The hallway is not that big, so I should be done quickly. ... 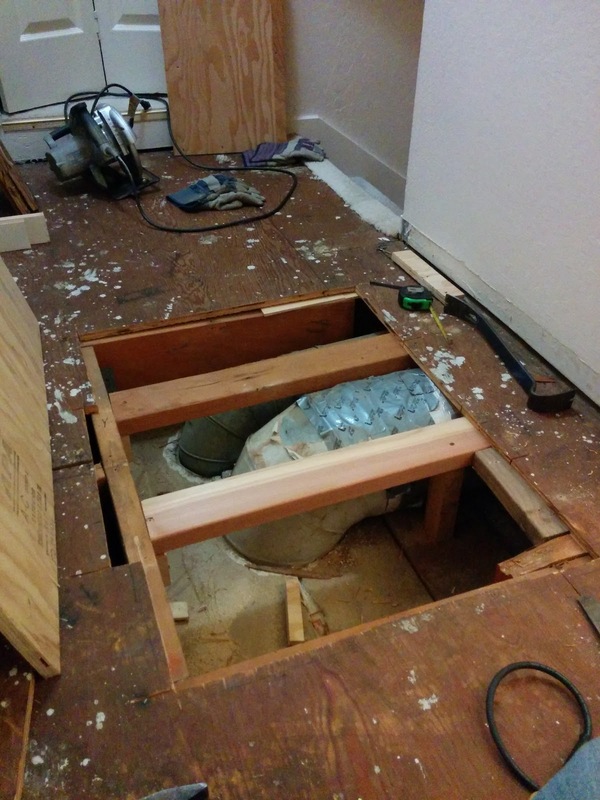 If only the subfloor wouldn't be very uneven, and somewhat soft in one place. 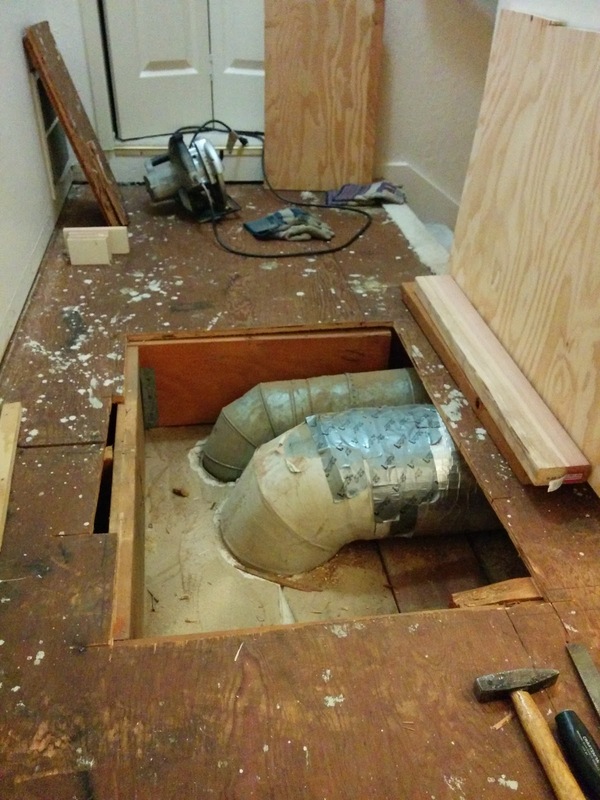 The softness is because there is a heating duct and the furnace exhaust snaking through under the floor, and the floor is not well supported in that area. I tried a fix for this several years ago, but it was never really perfect. Today I decided to try and fix this for good. 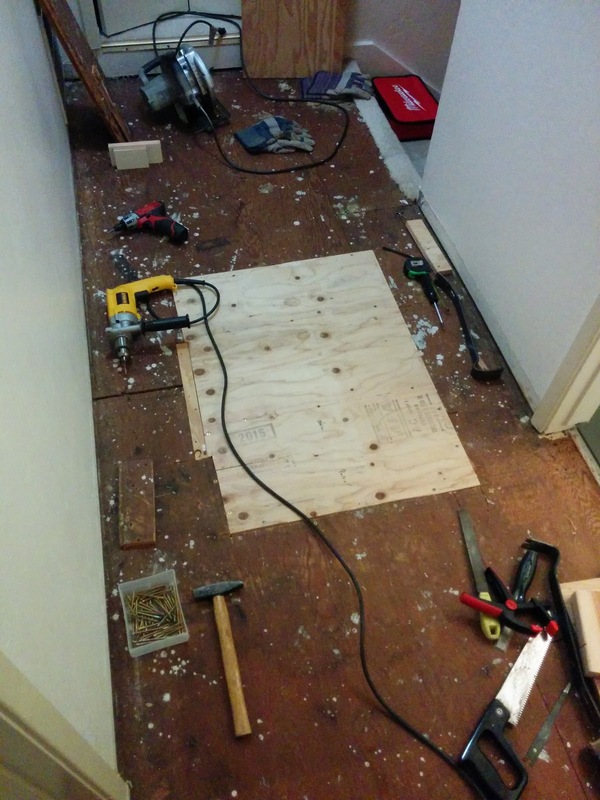 Tomorrow I'll get the floor reasonably level and install the laminate flooring just like I did in the two bedrooms.